The Silvi Sabina Sapori Company is a family-run company specialized in the manufacturing of extra virgin olive oil of high quality. It has about fourteen acres of its own territory, with over 1000 olive trees of both old and new planting. Founded in the early '900, the company is currently managed with passion and professionalism from the Silvi family from three generations excelling in quality production. The harvesting is done by hand, separating the olives in verieties. 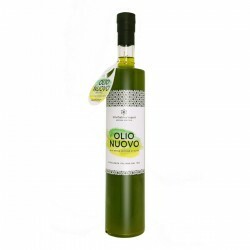 The different varieties of olives produced (Salviana, Carboncella, Leccino, Frantoio) are collected separately only when each variety has reached the right stage of ripeness. The squeezing is carried out within five hours of collection and the manufacturing is done by cold pressing in a mill in a continuous cycle. 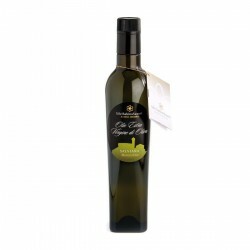 The extra virgin olive oil is kept at a controlled temperature of 14°/16° in stainless steel containers with nitrogen. 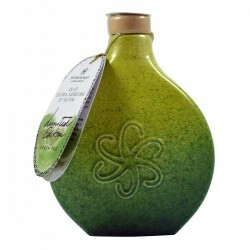 The packaging is made only at the time of the purchase bottles of dark glass or mirrored in steel cans.